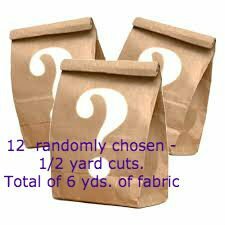 Each bag contains 12 randomly chosen 1/2 yard cuts of fabric. The fabrics may or may not be coordinated. Total of 6 yards fabric in each bag.